A controversial amendment to require armed personnel in every school has been tacked on to a bill to provide grant money for school resource officers. Senate President David Long, R-Fort Wayne, slammed the brakes Thursday on a pending House proposal requiring every Indiana school to have an armed employee in the building during school hours. Long said if that provision, inserted Wednesday by the House Education Committee into Senate Bill 1, is approved by the full House, he’ll remove it from the legislation when it returns to the Senate. “It needs to be optional for our school districts to let them make the choice,” Long said. 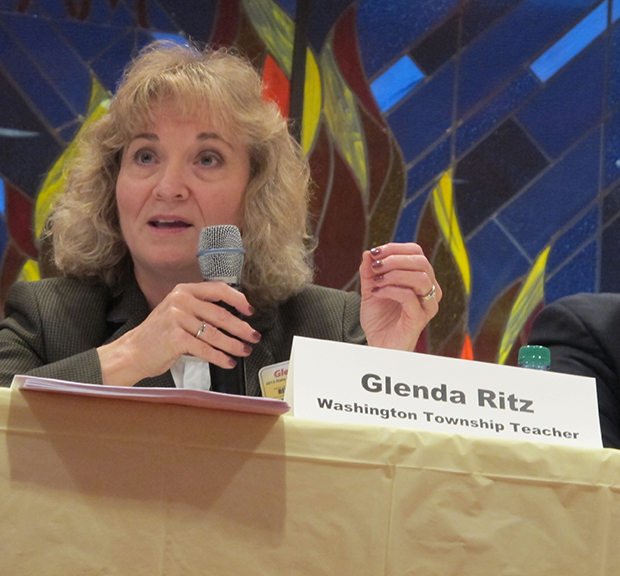 That stance is shared by Glenda Ritz, the Democratic state superintendent of public instruction, and Republican Gov. Mike Pence, who said he opposes the mandate — which would make Indiana the first state in the country to require armed personnel in every school. 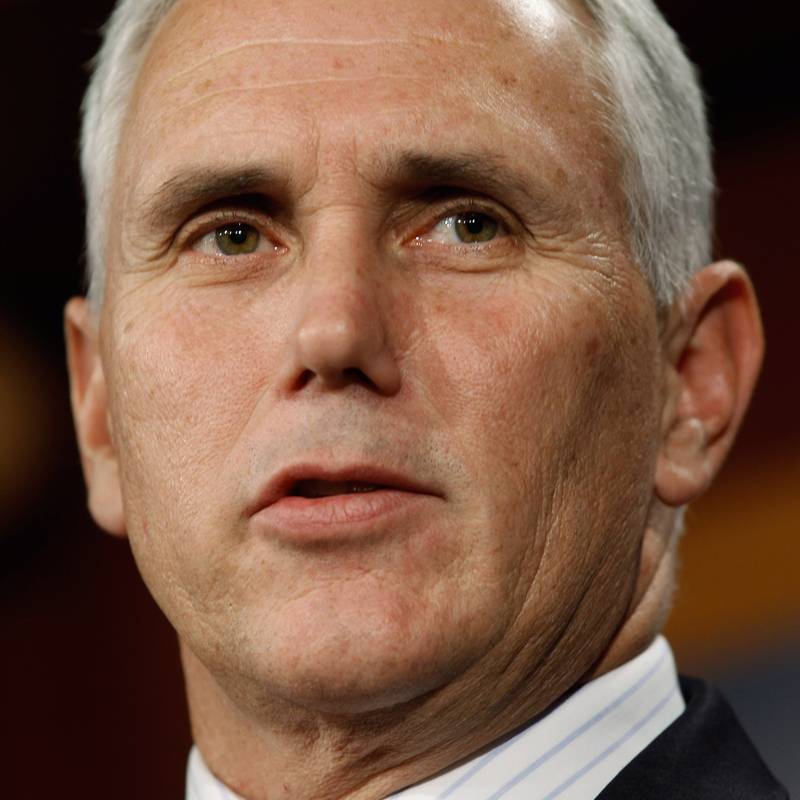 “I have a strong bias for local control, and I think decisions that are nearest and dearest to our hearts ought to be made by parents and local school officials, and I believe that’s so in this case,” Pence said. Superintendent Ritz also says the decision to arm school personnel should be made by individual districts in Indiana. “I am for those types of decisions being made at the local level, at the school district level and they should be the ones determining the officers and the types of officers that are going to be in their schools,” she told Indiana Public Broadcasting‘s Brandon Smith. The amended bill filed by Rep. Jim Lucas, R-Seymour, caught educators by surprise. Lucas told the House committee teachers have told him they’d like to carry guns to school to stem a possible tragedy like the Sandy Hook massacre in which 20 children and six adults were shot and killed. “The people who come up with those ideas need to take people to the firing range and see how many mistakes are made,” said Portage Township Superintendent Ric Frataccia, a military veteran. 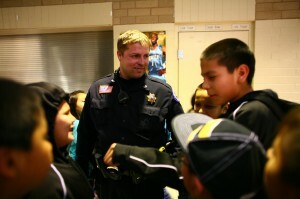 The amendment is attached to legislation that would provide matching grant money for school districts to hire off-duty police officers as school resource officers.